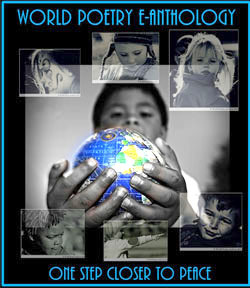 World Poetry Celebrates Addena Sumter-Frietag! Ariadne’s Notes: We had the best Black History Month Celebration ever! Starting with Keisha Prince, Dr. Mark Lomax and ending with Addena Sumter Freitag and Wadada Leo Smith! The theme that stood out was the message of positivity and celebrating our differences plus healing together. World Poetry Café Radio Show , 100.5 FM, CFRO on February 28, 1-2 PM PST was so honoured to have World Poetry Lifetime Achievement Award Winner and Ambassador to Jamaica , Addena Sumter Freitag call into the show with her great knowledge of Black History in Canada. Addena is a wonderful poet, actress and writer. Every year, when we celebrated Black History Month at the VPL, she would bring the most beautiful display and participate in the celebration. On the show, she told stories about her mom who was a real heroine as well and also read a poem for Rosa Parks. Also on the show was the renowned Wadada Leo Smith with his Oratorio on Rosa Parks who will be featured soon. E-poem by Rabia Ahrar, a new story by Sharon Rowe and poems by Victor Schwartzman . We also heard the voice of Rosa Parks speaking thanks to Victor’s search for her archives. CLICK HERE FOR AN AMAZING SHOW WITH BEAUTIFUL MUSIC! Addena Sumter-Freitag is from a 7th generation African-Canadian family. She grew up in Winnipeg’s North End, and lived 12 years in Canada’s Arctic where she worked as a Community Development Worker for Status of Women NWT, and served 4 years as a Board member of Status of Women Canada. In her Social and Community Services career, Addena worked extensively with Women, Women’s Groups and with Aboriginal youth. Addena is an actor as well as a published and award winning author. Her first book “Stay Black & Die”, published by Commodore Books, has been included in English curriculum reading lists at UBC, Universery of Victoria, Emily Carr, Vanier College (Montreal), and also included in U.B.C Women’s Studies courses. Her second book, “Back In The Days”, published by Wattle and Daub, was the 3rd of three books reviewed in Canadian Literature Quarterly by Atef Laouyene. The review was entitled, “Of Violence and Poetry”. Addena writes and performs in English, although her poems have been translated to French and Korean. She is well known in the Canadian Theatre and Arts community. Writing and performing are her first loves. © 2005 Addena Sumter-Freitag. All rights reserved by author. This entry was posted in Ariadne's Notes, E-Poets, Featured musicians and artists., Featured Poets, General and tagged Addena Sumter Freitag, Author Sharon Rowe, International Peace Award Ariadne Sawyer, Rabia Ahrar, Victor Schwartzman on March 7, 2019 by Ariadne. Peace Poet Yioula Ioannou Patsalidou from Cyprus! The World Poetry Radio Show Celebrated Peace Poet Yioula Loannou Patsalidou from Cyprus with a lovely Peace Poem September 27, 1-2 PM PST on CFRO 100.5 FM. Also, featured were Rabia Ahrar , sister of World Poetry Youth Director Alaha Ahrar who sent in a moving spiritual poem and Scott Reeves Celebrating his new Album Without a Trace. In addition, Ariadne Sawyer, MA, read some poems from her upcoming book. Poetic News and a short story from the Big Bessie Series by Sharon Rowe. 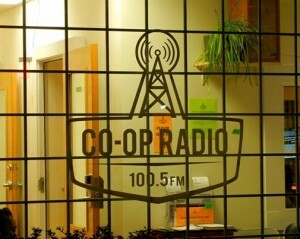 Great thanks to sound engineer Kerry Bruckner who kept the show on the air! YIOULA IOANNOU PATSALIDOU was born and raised in Avgorou Famaqusta Cyprus. She descend from the historical family of Ioannis Gonemi . She studied the French language and civilization in France and also photography. The chronic corruption in her country’s power deprived her human rights and prevented her from working in areas for which she was first examined in Cyprus. They also deprived her of her inheritance right over the property of her ancestors and state officials took over the property. She worked in the tourist industry while having her own show on local radio. in her country supporting the piece and justice in the world. the creation smells sweet, the feast begins. i worship the trees, the earth, the water. it fluttered, it searched for the embrace. and i am not afraid of death nor of pitfalls. YIOULA IOANNOU PATSALIDOU (C) All rights reserved by the author. This is for you and your audience for the PEACE DAY! I HOPE YOU LIKE IT. PEACE AND LOVE IN YOUR LIFE , AND PEACE TO EVERYONE . This entry was posted in Ariadne's Notes, E-Poets, Featured musicians and artists., Featured Poets, General and tagged Author Sharon Rowe, International Peace Award Ariadne Sawyer, Kerry Buckner, Rabia Ahrar, Scott Reeves, Yioula Ioannou Patsalidou on September 29, 2018 by Ariadne. World Poetry Celebrates the Talented Scott Reeves! 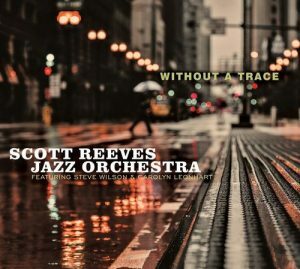 World Poetry Radio Show Celebrated Scott Reviews with his new album, Without a Trace on September 27, 1-2 PM PST on CFRO 100.5 FM. YIOULA IOANNOU PATSALIDOU from Cyprus with a lovely Peace Poem and Rabia Ahrar , sister of World Poetry Youth Director Alaha Ahrar who sent in a moving spiritual poem . In addition, Ariadne Sawyer, MA, read some poems from her upcoming book. Poetic News and a short story from the Big Bessie Series by Sharon Rowe. Great thanks to sound engineer Kerry Bruckner who kept the show on the air. In the fascinating interview with Scott, two aspects stood out. One the difficulty that Jazz Musicians have in making a living in their careers due to the digital changes in the industry. Even Jazz clubs have had to close their doors due to high expenses. He also said that young Jazz musicians need to follow their passion and not give up. We got a lot of feedback to his remarks, with folks asking about possible solutions. We wish Scott Reeves great success on his new CD and also his upcoming trip to Japan. We would like to thank Braitwaite and Katz as well as Katherine Growdon for sending us this talented musician. 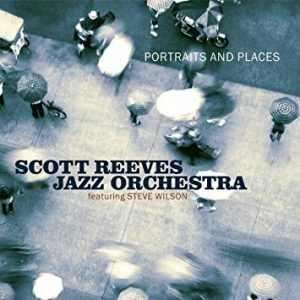 Scott Reeves : Scott Reeves is a trombonist, alto flugelhornist, composer, arranger, author, and college jazz educator. A Chicago native, he attended Indiana University where he received his B.M. in trombone and his M.M. in jazz studies. Over the years he has studied improvisation with David Baker, Woody Shaw, and Kenny Werner; arranging with Manny Albam, Mike Abene, Jim McNeely and Mike Holober; and trombone with Thomas Beversdorf, Lewis Van Haney and Dennis Smith. Since 1976, Scott has been teaching jazz at the university level and currently teaches at The City College of New York, CUNY, where he holds the rank of tenured Full Professor. Scott previously held positions at the Juilliard School, the University of Southern Maine, Virginia Commonwealth University, Memphis State University and Western Washington University. Scott frequently presents workshops and concerts throughout the U.S., Canada, Japan, and Italy, and is a long-time composer participant in the BMI Jazz Composers Workshop in NYC. This entry was posted in Ariadne's Notes, E-Poets, Featured musicians and artists., Featured Poets, General and tagged Author Sharon Rowe, Braitwaite and Katz, International Peace Award Ariadne Sawyer, Katherine Growdon, Kerry Buckner, Rabia Ahrar, Scott Reeves, Yioula Ioannou Patsalidou on September 29, 2018 by Ariadne.